On the 10:th of November STHLM ROBOT CHAMPIONSHIP 2012 took place at Tekniska museet. 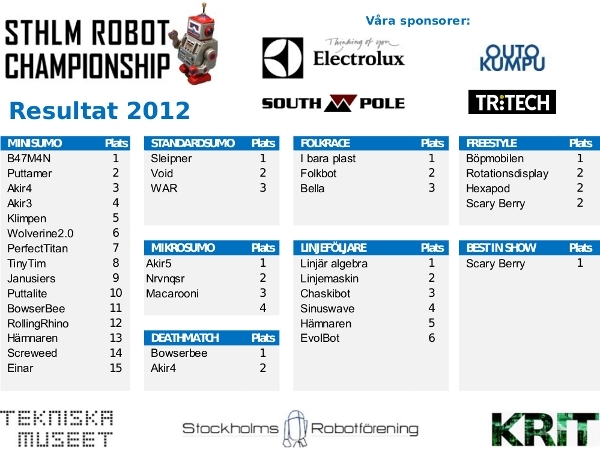 33 robots constructed by Sweden’s most skilled robot builders participated. Below you can see the result from the successful event, press for pdf. Thanks to all sponsors, co organizers, participants and 1300+ visitors!